A look at the Navy SEALS describes their use by the military and discusses their experiences in such “theaters of operation” as Omaha Beach, Vietnam, and the Persian Gulf. The Dell War Series takes you onto the battlefield, into the jungles and beneath the oceans with unforgettable stories that offer a new look at the terrors and triumphs of America's war experience. Many of these books are eyewitness accounts of the duty-bound fighting man. From the intrepid foot soldiers, sailors, pilots, and commanders, to the elite warriors of the Special Forces, here are stories of men who fight because their lives depend on it. 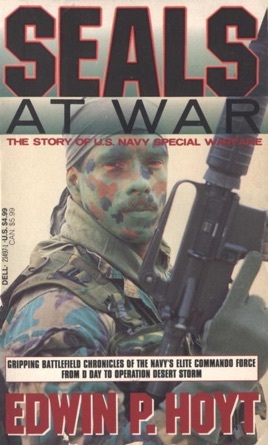 Military historian Hoyt ( Carrier Wars ) offers a thoroughly researched but surprisingly dull institutional history of Navy special warfare from World War II to the Gulf War. Relying mainly on government documents, Hoyt reconstructs numerous battles and missions, but almost never leavens them with quotes or reminiscences from participants, nor does he delve much into the psychology and personalities of those involved. Even though Hoyt observed ``Hell Week'' during SEAL training at a Navy Special Warfare Command Center, his account of it lacks verve. He goes on to describe SEALs predecessors, the underwater demolition teams that fought in the Pacific Theater of WW II and the Korean War. In 1961, in response to President Kennedy's call for U.S. armed forces to increase capability for unconventional action, the SEALs (Sea, Air and Land teams) were born as a Navy counterpart to the Army Green Berets. 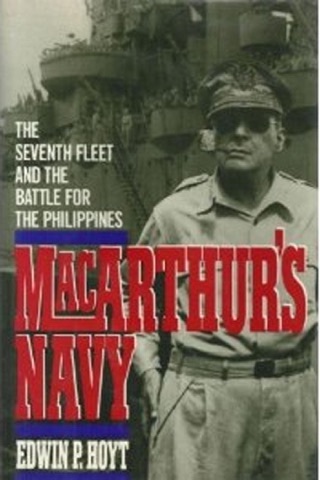 Hoyt describes SEAL battles in Vietnam, but pulls his punches: he cites a novelized portrait of the SEALs as ``superbly competent terrorists and assassins,'' but skimps on the details.